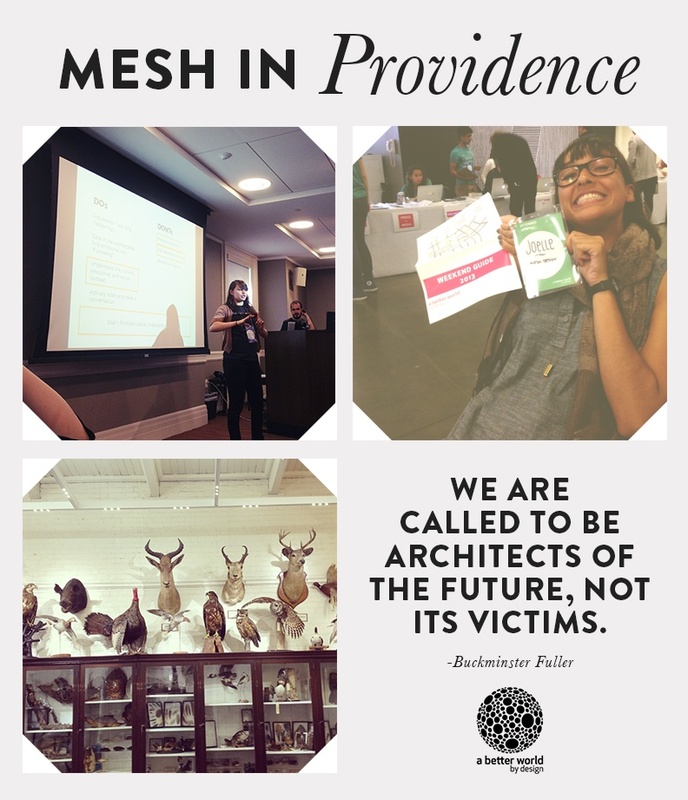 Megan and Joelle of MESH were lucky to be able to attend this year’s A Better World by Design Conference at RISD and Brown in Providence. The conference brings together designers, thinkers, and innovators from all over the world to discuss socially conscious design and innovation. The weekend was an inspiring three-day extravaganza of brilliant people and the work they do. We saw some great speakers, made new friends, and toured the beautiful town. We were particularly inspired by the Design for America Research and Empathy in Design workshop and Sarah Drummond‘s closing talk. We recommend everyone try to make it next year! We hope to be able to attend next year, and maybe even, *dreaming big here* speak or host a workshop! Thanks to the whole A Better World by Design team for putting on a great conference!